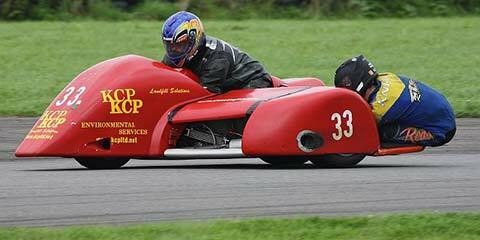 Father and son Paul and Ricky Lumley have been racing sidecars successfully for long enough to have built up extensive knowledge of how to make the outfits work efectively. As manufacturers of their own chassis and components, nothing is left to chance or guesswork. 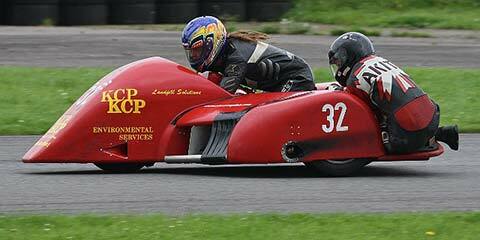 The precision and care that is applied to building their own outfits, is equally applied to all the work carried out for sidecar racing customers. Whether you want a spare oil tank made, or a complete new outfit from the ground up, you will be welcome at the Lumley Engineering workshop. Looking forward to the coming season, keep an eye out for Paul (#33) and Ricky (#32) at the UK's circuits through the summer and drop in for a chat if you find yourself in the paddock. To find out where we are racing, take a look at our race calendar for the season.